Impressed coaches enough in the early going as a true freshman to forgo a redshirt season, now needs to work harder to reach the high standard he has set for himself. Has emerged as an intelligent player who doesn’t shy away from contact yet needs to find a way to overcome the injuries which could have resulted in more playing time a year ago. Off-season improvement also hampered by missed playing time in the spring, which he must overcome in order to give himself a better opportunity to make an impact. Should be a big factor on special teams while he works his way up the depth chart at outside linebacker. 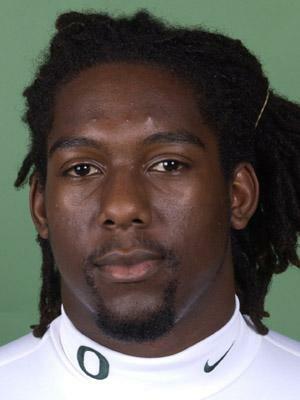 Enters final season adapting to a new position as he was switched from linebacker to defensive end during 2005 spring drills. Benefits from being familiar with Oregon’s defensive system for last four years as well as knowledge of what it takes to be successful at this level. Will be able to utilize advantage as program’s fastest defensive lineman (4.92) but must quickly grasp technique to offset size or strength disadvantages. Certainly will be a factor on special teams and situations where he is able to rely on his quickness. Posted two tackles in last year’s spring finale. Possesses the demeanor consistent with the position he plays, displaying a tough mentality and not afraid to engage in the physical nature of the game. At his best when asked to make plays between the tackles, with experience the only thing he lacks to make plays on the perimeter. Is expected to battle for playing time at the middle linebacker slot but speed enhances ability to be a force to reckon with on special teams. Credited with three tackles in the Spring Game. Although is the type of player who could have benefitted down the road from a redshirt year, possessed too much talent to sit on the bench. 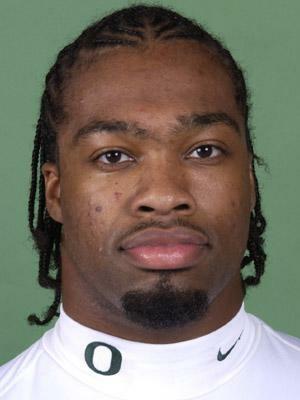 Will be a much better player in 2005 for the experienced gained last year due to his better understanding of the game and Oregon�s defense. Is one of program�s better cover cornerbacks and is a good open-field tackler. 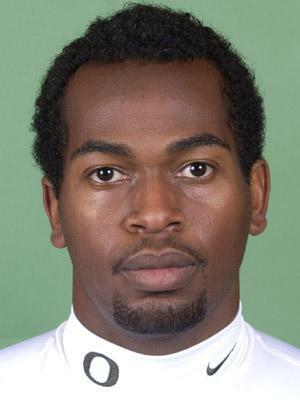 Only Rashad Bauman (1997-01) has clocked a faster 40 time among school�s all-time defensive backs than Bates� 4.31. Added to his value in the spring by spending time at free safety. Maintains a solid work ethic and if his development continues, could emerge as one of the best defensive backs in the Pac-10 before he is finished. Possesses the physical tools to be successful down the road, yet needs to acquire more repetitions to master the intricacies and technique of defensive line play. Reigns as the squad’s second-fastest defensive lineman yet needs more work in the weight room to build mass and strength. Has displayed accuracy yet needs to improve leg strength. Battling for placement duties and expected to compete for primary role based on improvement he demonstrated in the spring. Converted one PAT in the spring finale. Came into program as a raw talent but through his maturity and tremendous desire to play the game, has demonstrated he can develop into a very good Pac-10 player. Has made the greatest improvement in his game with his open-field tackling in the spring. Needs to add strength to his lower body to reach his potential but coaches confident he will do whatever it takes to get onto the field. Expected to become a major asset on special teams during the coming year while battling to find his role in the rotation in the defensive backfield. Tested fourth among secondary in bench press during the winter (305 lbs. ).Tallied four tackles and forced a fumble in the Spring Game. The first-team all-state wide receiver (The Oregonian) and honorable mention all-state defensive back was rated the fourth-best collegiate prospect in Oregon by SuperPrep. Caught 96 passes for 1,300 yards and 26 touchdowns his senior season to receive Northwest Nuggets honorable mention by the Tacoma (Wash.) News Tribune. Included in junior year numbers were 14 catches for 279 yards and three scores in win over Lebanon. 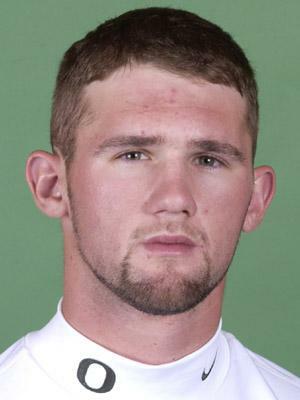 The two-time Midwestern League offensive player of the year was a finalist for the state’s 2004 Johnny Carpenter Male Prep Athlete of the Year Award. Was coached by former Oregon quarterback and NFL Pro Bowler Chris Miller, who credited his pupil with displaying traits of former Denver Broncos’ teammates Rod Smith and Ed McCaffrey. The all-around athlete also doubled as a basketball standout for the Axemen, finishing third in the league in scoring (16.3 avg.) with a single-game high 30 points vs. Beaverton. Jumped out to a good start last spring before an early concussion tempered his development the rest of the way. Has emerged as a threat with the ball in his hands but needs to improve his blocking skills. Displays an intense work ethic and plays with the heart that is conducive to excelling on special teams. Not afraid to make contact and willing to make the physical sacrifice necessary to work his way onto the field. 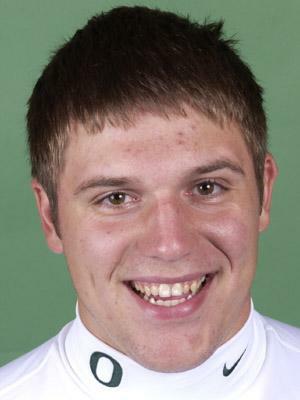 To merely hint that the Missouri 4A offensive player of the year played a large role in leading the Greyhounds to the 2004 state championship would be a gross understatement. He willed the school to a 13-1 ledger as a quarterback, safety, wide receiver and on special teams to aid the march to the Suburban East Conference title. Ranking fourth in the state in scoring (158 points), he rushed for 1,480 yards (7th in the state) while averaging 8.76 yards per carry and scoring 26 touchdowns his senior season. In addition, he passed for another 1,038 yards (65-128) and 13 scores. Also was afforded first-team all-state accolades on defense as his team’s second-leading tackler posted 71 stops (60 unassisted) along with seven interceptions (5th in the state), three quarterback sacks and two fumble recoveries. Completed the package with six catches for 125 yards (20.8 avg. ), 10 kickoff returns for a 30.1-yard average, 15 returned punts for a pace of 13.3 yards per attempt in addition to punting the football 18 times for a 37.6-yard clip. 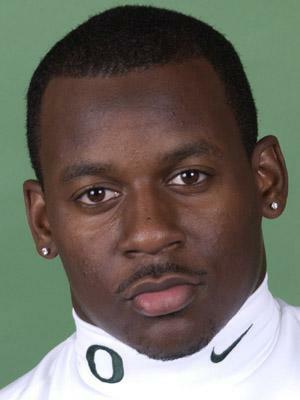 After moving from Wisconsin prior to his junior year, he ran for 1,700 yards and 19 touchdowns in 2003 as a quarterback in addition to snagging five interceptions as a defensive back. 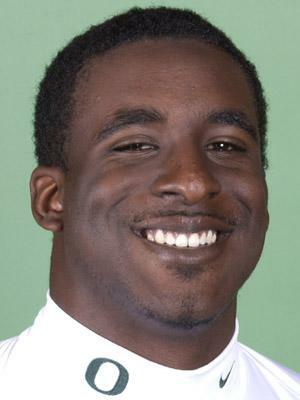 The son of former 10-year NFL defensive back standout Gill Byrd also was a first-team all-league choice in baseball and basketball. Earned PrepStar all-region honors following a senior season in which he tallied 70 tackles, eight tackles for loss, seven quarterback sacks and forced one fumble. Possesses a great combination of speed (4.5) and strength (325-lb. bench press) to help lead Pirates to a 9-2 slate and a first-round state playoff loss. Was chosen honorable mention all-state by the Alabama Sportswriters Assocation, all-Baldwin County and all-region acclaim by the Mobile (Ala.) Register. Although leaving little doubt he possessed the talent that could have led to playing time last season, Oregon will benefit from redshirting one of nation’s youngest collegians a year ago. Only Danny O’Neil (1991-94) and Bill Musgrave (1987-90) have passed for more yards heading into their senior seasons in school history than Oregon’s 24-game starter. Only one other signal caller has ever thrown for more than 2,000 yards as a sophomore and junior as Clemens seeks to join O’Neil as only the second to string together three such seasons. O’Neil led the Ducks to the Rose Bowl his final year. Joey Harrington guided his alma mater to No. 2 in the nation. Such is the legacy the current two-year starter follows as he prepares for one final fling. The school record-holder begins his senior campaign sixth on Oregon’s all-time passing list (5,149), seventh in total offense (5,456) and tied for fourth in touchdown passes (42), while currently holding onto the top mark in career accuracy (59.7%). Strives to improve his consistenty throughout the entire year, which school’s revised offensive attack should cater to. His ability to improvise and create an option to run with the football should work well within the framework of the attack as he has scrambled for 307 yards and six scores over the course of the last three years. Excels as a poised leader who has been through the battles before and assumes pride in taking care of the football, tossing multiple interceptions only four times in 29 appearances. Work ethic has paid off in the weight room as well, topping the all-time charts at his position with a 352-lb. power clean lift and 470-lb. squat during winter testing. It can be easy to forget that high school players jumping to the next level have only three weeks of training to prepare to face more experienced athletes. Thus the first spring workouts can be invaluable toward the improvement from the first season until the next. Took advantage of the spring to grasp what it takes to be a solid collegiate receiver and still learning how to get better. Possesses the potential to become a very good deep threat, utilizing his strength and size to his advantage. Maintains work ethic as an extremely dedicated standout who is looking to improve every facet of his game. Maturity evidenced by snapping school lifting record among receivers for squats (445 lbs.) by 30 pounds in addition to pacing position with 305-lb. bench press. Provides the luxury of playing either guard or center, and is realistically vying for a spot on the team’s travel roster. Possesses a toughness that has impressed coaches, now needs to continue to work on improving his athleticism. Work that he puts in during the summer will probably determine his role once fall camp gets underway. Emerged as one of secondary’s biggest spring surprises due to added maturity and gaining a grasp of the defense. 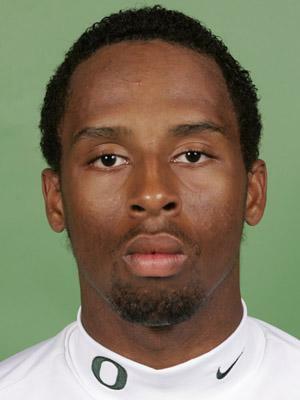 Possesses skills as a very physical cornerback who has improved his anticipation of what to expect. 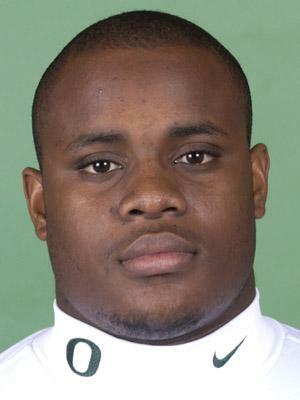 Accumulated three tackles and one pass broken up in the 2005 Spring Game. 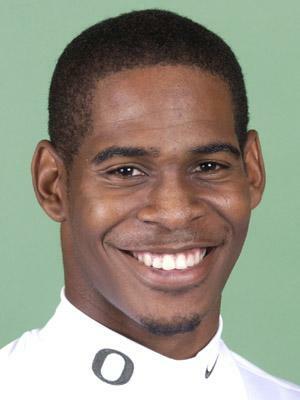 Is expected to be a major contributor on special teams this fall in addition to adding to the depth in the secondary. Arguably the most physically gifted tight end in school history, his mere presence on the field offers the potential to change the course of any game. 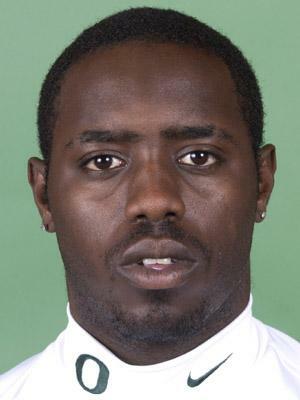 No better example exists than a short 2003 catch against California in which he converted into a 31-yard touchdown and ignited a 14-point turnaround. The two-time all-conference pick’s 12 career TD catches falls three shy of the school record at that position. Yet overshadowing his own talents are the opportunities he creates for others. While injuries have diminished his productivity in the the past, coaches remain anxious to witness the impact a healthy Day can generate over the course of an entire season. Possesses the flexibility to find the open seam over the middle as well as run by and over defenders in the open field. Matches deceptive speed with power as he tested second at his position in school history with a 390-lb. bench press in the spring following a second-best power clean lift (341 lbs.) and third-best squat (505) in 2003. The walk-on has grabbed the attention of the coaches by way of his immense improvement over the years to the point of forcing his way into the rotation in the secondary. Injuries in the spring to others allowed him to accumulate the necessary repetitions to aid his development. Still needs to improve but based on spring showing, has emerged as a solid performer who at times has displayed the potential to work his way into a starting role in the future. A very tough individual, as epitomized by his past special teams play, but now emonstrated his contribution could extend beyond that. Shared the secondary’s best power clean mark (308 lbs.) during winter testing and ranked second with 425-lb. squat. The SuperPrep All-American was ranked as the nation’s No. 6 prep tight end prospect, as well as the top player at his position in the Western United States and California’s 11th overall recruit. Led the Buccaneers in receiving and quarterback sacks, recording 28 catches for six touchdowns and over 400 yards his senior year to earn Southeast/South Coast Lineman-of-the-Year plaudits from the L.A. Times. His 54 tackles (28 unassisted) included 10 QB sacks, as he also blocked one field goal and punted the football 11 times (five inside the 20-yard line) for a 45.4-yard average. 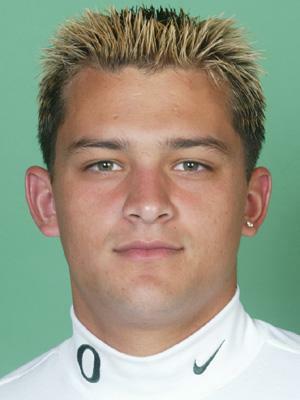 Included among his totals were five receptions for 72 yards in the 2004 season opener vs. Pacifica and three catches (two TDs) for 90 yards against Norwalk. In addition, he was credited with four quarterback sacks vs. Cerritos and averaged 46.8 yards on four punts against Gahr. The four-year starter is considered an exceptional run blocker for a program which favored keeping the ball on the ground 66 percent of the time, yet possesses the hands of a wide receiver. The first-team all-Suburban League selection on both sides of the football not only was chosen all-CIF Southern Section Southeast/South Coast tight end and region Lineman of the Year, he was named Best in the West honorable mention tight end/linebacker by the Long Beach Press-Telegram. As a junior, the two-way first-team all-league pick parlayed 19 receptions for 325 yards (17.1-yard avg.) and four scores with 68 tackles, 12 quarterback takedowns and 12 passes knocked down. Possesses a very good leg and good athleticism yet just as important, he’s performed well at the college level. Hang time in the spring was solid while inconsistencies should work themselves out with more repetitions and becoming comfortable with his surroundings. Got his feet wet in a reserve role as a true freshman, which should only give an indication of greater things to come. The experience gave him insight in terms of what he needs to work on to get better. Possesses tremendous lower-body strength, with his 500-lb. 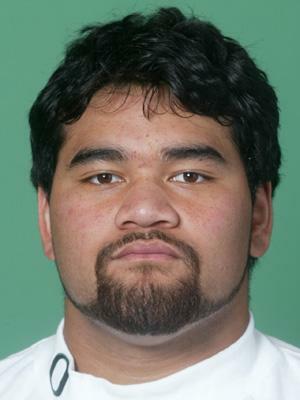 squat ranking second only to Haloti Ngata amoang defensive linemen. Made use of the 2005 spring to catipult himself into position for a starting role this season. Time spent in the weight room now paying dividends for one of the program’s fastest linemen in addition to learning to use his hands to his advantage. Injuries delayed his progress in the past but able to demonstrate what he can do when healthy. Has all the makings to be a very good player for years to come, possessing a competitive drive and strength that Oregon lacked at times a year ago. Brings with him a fearless attitude as well as an understanding of how to catch the ball in a crowd in addition to downfield. Uses his size to his advantage by shielding defenders from the ball and has displayed knack for catching the ball well over the middle. Enhanced his position by arriving last winter, gaining a good grasp of the offense. Caught five passes for 54 yards in the 2005 Spring Game. 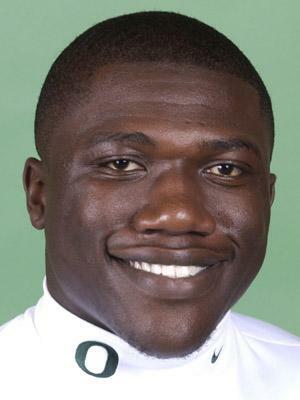 It can be difficult to gauge the strides one makes when they spend most of the spring locked up with one of the better defensive linemen in the country and such was the dilemma for the four-game career starter. Yet he competed well and certainly because of it. Encountered an encouraging spring as it’s now time for him to step up his performance to match his level of experience. Made technical improvement in the spring and coaches now anxious to see if improvement carries over to the fall. Tested atop team’s offensive linemen with 330-lb. power clean lift. Originally recruited as a defensive lineman, but made the switch to the offensive side during his redshirt season. Despite his impeccable credentials, the most impresive aspect about the all-South Bay/Westside Region linebacker and L.A. Times regional back of the year may be his instincts that always find him around the football. Gauchos assistant Craig Armstrong credited him for being "beyond his years in football knowledge" while the program built its defense around the fourth-best safety in the state. Rated 49th overall among California’s prep prospects, he garnered 133 tackles his senior season while adding 30 tackles for loss, four quarterback sacks and returned one of his four fumble recoveries for a touchdown. Narbonne finished the year with a 10-3 mark while falling to Birmingham in the L.A. City Sectional semifinals. 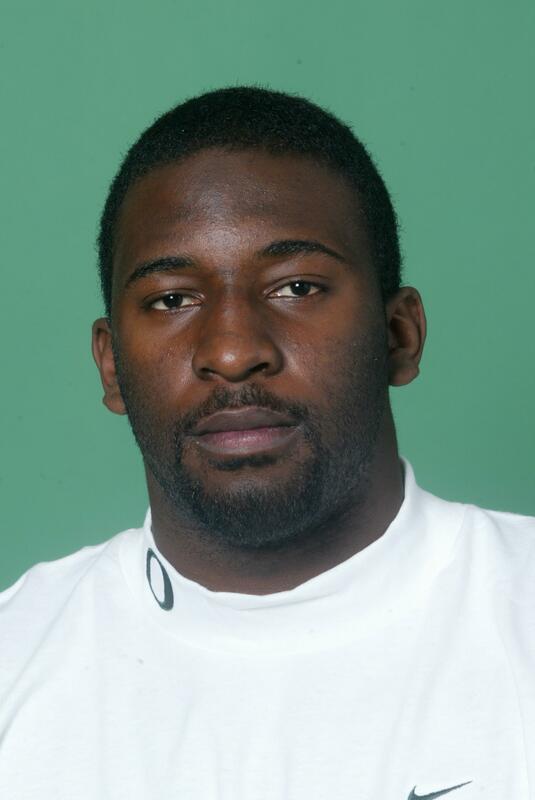 In 2003, he was credited with 109 tackles, 42 tackles for loss, 13 QB sacks and four interceptions. 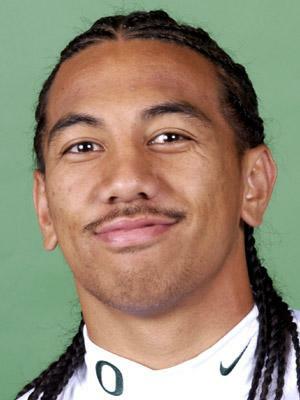 Since paying his dues as a green true freshman who was thrust into the fire before his time in the Pac-10 in 2002, has emerged as one of the league’s better defenders. Has always possessed an advanced understanding of the game, but now the 22-game starter is able to utilize his quickness and change of direction to the fullest extent, in addition to filling out his body in the weight room. Not only does he loom as the secondary’s best cover cornerback, rates as one of team’s best players. Has developed into a sure tackler who can defend the run as well as the pass, and finishes the play strong. 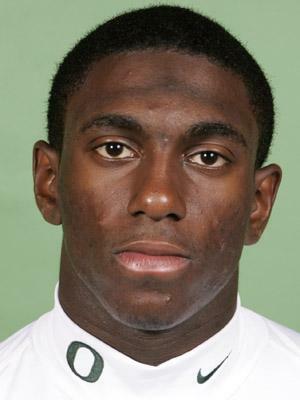 Has set the table to become one of the best defensive backs in the country after entering the 2004 spring in danger of questioning his self-confidence and settling for a reserve safety role. But quickly forced his way back into the rotation at cornerback as one of the defense’s most improved players. Joining the program in time for the 2005 winter term, his skill levels are so advanced it’s hard to remember he will only be a true freshman in the fall. He grasped the defense well in the spring and maintains the attitude that is conducive to him getting better with every practice. Is a very coachable athlete who has added weight and strength since his arrival, tying for fourth among defensive backs in maximum bench press (305 lbs) during winter testing. 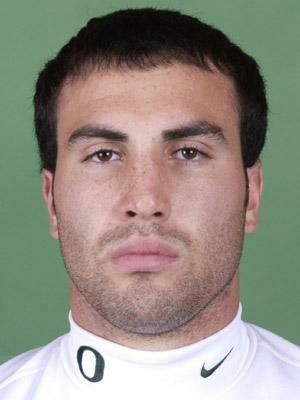 Accumulated three tackles in the Ducks’ spring finale. His work over the summer will determine role as a true freshman from the line of scrimmage as well as special teams. One of the pleasant surprises of the spring, seized the opportunity to grab coaches’ attention by outworking his competition. 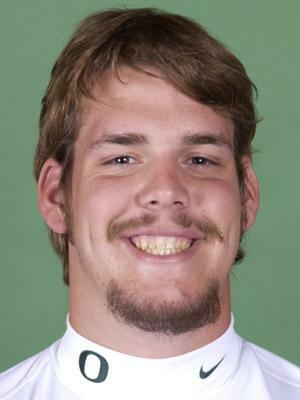 As a result, the walk-on has thrust himself into contention for major playing time despite a lack of experience. Compensated for any deficit in physical skills by a determination to discredit his critics as well as his grasp of the defense. Maintains ability to not only carry out his assignments but puts his teammates in position to make plays. 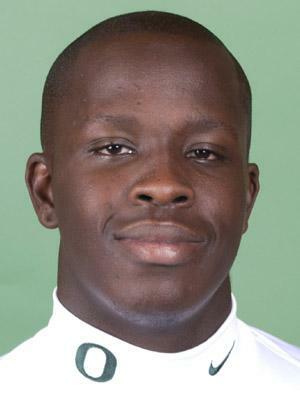 Remained atop the depth chart at mike linebacker from the start of spring drills, recording two assisted tackles and a fumble recovery in Spring Game. Provides promising potential for the future yet needs to improve his strength and technique in order to take advantage of his size inside. Lower pad level will materialize once he gains more experience. Could emerge as one of the steals of the recruiting class as he attracted little attention despite being selected as the first-team Class 4A all-state tight end by the Associated Press and WashingtonPreps.com. Hauled in 37 catches for 850 yards and six touchdowns in 10 games his senior year to become his school’s first player to earn first-team all-state kudos in 25 years. Characterized by head coach Matt Miethe as possessing great feet as well as the best hands on the team. Also led the Pirates in tackles and tackles for loss as the unit’s best defender for a squad which finished with a 1-9 record. Coaches trying to find which position gives him the best chance to succeed yet regardless of where he plays, needs to continue improving his strength in order to be effective. Is a very athletic offensive lineman who utilizes his intelligence to his advantage, but could acquire a more aggressive nature. 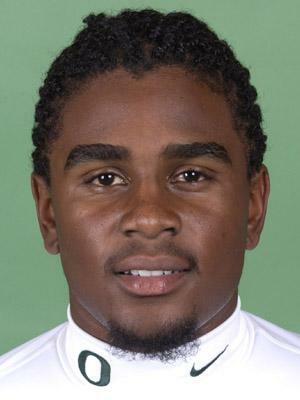 Earned all-San Gabriel Valley Region honors (L.A. Times) and all-CIF Southern Section second-team applause as a defensive back for the 2004 Mt. Baldy League champions. Posted 95 tackles and two interceptions from his safety outpost for a program that finished the year with a 9-3-1 record, as well as 25 receptions for 450 yards and four touchdowns as a wide receiver. Finished with five catches on three separate occasions and ended in double-digits in tackles in six of nine regular-season appearances. Defensive play highlighted by his 13 tackles vs. Colony. The all-around stalwart capped his play for the Panthers carrying the football three times for 120 yards and one TD, recovering one fumble and returning an interception 35 yards. Led the Inland Empire with seven interceptions as a junior. Accumulated 1,615 yards (8.97-yard avg.) and 18 touchdowns rushing as a senior despite splitting time with teammate at running back. Also added nine receptions for 149 yards and two scores for the Coliseum League champions who finished the year with a 12-2 record. Ran for 100 yards or more in six of his seven appearances, including 173 yards rushing and three catches for 64 yards against San Pedro. The conference’s scoring leader (120 points) and third-leading rusher also tallied seven TDs in back-to-back wins over San Pedro (54-15) and Sylmar (55-13). 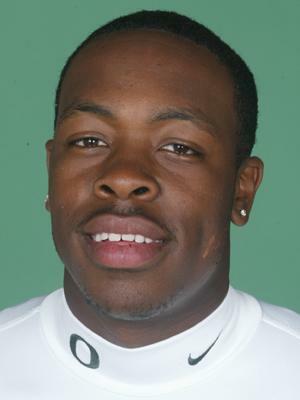 The former Oregon Football Camp MVP (2004) paced the Dons to a 12-2 record, which included a 36-13 setback to Birmingham in the state playoffs. 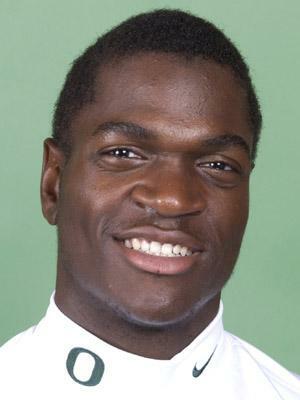 The 2004 prep graduate arguably was considered among the fastest high school football players in the country and was able to parlay his national-class track speed onto the football field. Attracted near-unanimous All-America acclaim from the likes of SuperPrep and PrepStar following his senior season, as well as Best in the West first-team accolades (Long Beach Press-Telegram), Western One-Hundred (Tacoma News Tribune), Fab 15 first-team (Orange County Register), all-Southeast/South Coast (L.A. Times) and Dream Team (Long Beach Press-Telegram) tributes. Hauled in 49 catches for 930 yards (19.0 avg.) and scored 11 touchdowns in 2003, including three scores returning kickoffs and punts. Led the Jackrabbits to the CIF Division I championship contest his final prep campaign. His junior year was just as impressive, converting 39 receptions into 1,479 yards (37.9 avg.) and 16 TDs (not including five additional scores coming via kickoff returns). His exploits resulted in Student Sports Junior All-America, Cal-Hi Sports all-state first-team, all-CIF Division II, all-Southeast/South Coast (L.A. Times) first-team and Long Beach Press-Telegram Dream Team first-team fanfare. Also enjoyed success on the oval track, with the state sprint champion claiming the 200-meter title at the 2004 California state meet (21.10) in addition to finishing fifth in the 100 (10.3) and running legs on the victorious 4x400 and second-place 4x100 relay quartets. He won both the 100 and 200 meters at the 2004 CIF Division I meet as well as the 2004 CIF Southern Section Masters meet, and boasts of personal bests of 10.44 and 20.97, respectively, in the two events. Although his playing time may have slightly diminished a year ago, his play and consistency leaped to the forefront in the spring. Created the impression that is ready to be an impact asset on every down of every game. Possesses the tools and desire to be successful yet needs to continue his momentum in the fall to reap the benefits of his progress. Injuries to others in the spring aided his improvement due to receiving additional repetitions. His own injuries have limited his progress in the past yet able to put them behind him in the spring, which contributed to his development. Should benefit tremendously from Oregon’s revamped offense, but needs to improve his strenghth in order to reach full potential. Caught two passes for 14 yards in the 2005 spring finale. A knee injury early last fall didn’t make his transition to the next level any easier. Coaches remain optimistic that their patience will pay dividends down the road yet his work in the weight room and the practice field will determine how soon he is able to become a factor. Has positioned himself for strong contention as backup center behind established starter. Needs to acquire more strength, which was tough to do last year due to a broken thumb. Is a tough, intelligent individual who possesses all the tools to become a factor in the future. All he lacks is experience, which will come through additional repetitions. Coaches will patiently wait for him to come into his own due to the potential which lies down the road. However he needs to gain a better grasp of the offense and needs more progress in the weight room in order to enhance his physical style of play. The walk-on has demonstrated a tremendous leg a year ago and in the spring, yet needs to strive for consistency in his directional placement of the football. Brings great competition to the table and will play a role in the improvement of team’s punting game. 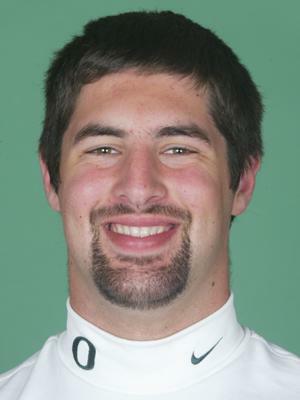 Punted once in the 2005 Spring Game for a 31.0-yard average. Has diligently worked to make himself a better quarterback, with his efforts beginning to pay off. Possesses the size that none of Oregon’s other quarterbacks can boast of, which serves as an advantage when surveying the field. Maintains a poise about him that allows him to remain in control and stand tall in the pocket. Has developed into a very good intermediate passer who can strong-arm the football toward the sideline. May lack some of the mobility that his counterparts possess yet capable of making very good decisions on the move. Enjoyed a very productive spring even prior to his outstanding Spring Game showing, yet admittedly turned some heads by accumulating 17 completions in 25 attempts for 213 yards and one touchdown. When the evolution of the Oregon offense diminished the Ducks’ role of the fullback position, the position coaches requested the walk-on be allocated to tight end. What resulted was Levine’s best spring to date as he stepped up his level of play. Utilized his strength to his benefit as his 341-lb. power clean lift during winter testing equalled third on school’s all-time chart among running backs. It says a lot about a player who would sacrifice himself for the good of the team. Yet that should come as no surprise when talking about the versatile athlete who was shifted back to the defensive side of the ball from tight end following the conclusion of spring drills. 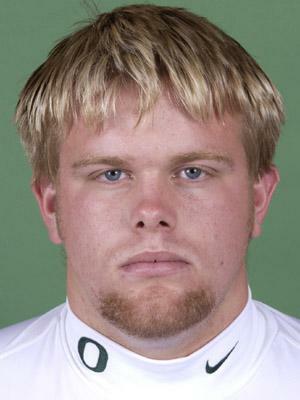 After all, he sacrificed his own ego before when he originally came to Oregon without the benefit of athletic financial aid. His hard work and success on the field paid off in the form of a scholarship following a solid 2003 spring showing. 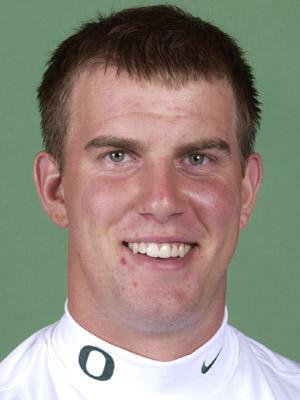 The former tight end was converted to defense for the spring of 2004, but was asked to be ready at both tight end and defensive end last year when injuries began to mount. After playing tight end last season, it was felt his services could be better utilized again on defense. Provides agility and experience to a position that benefits from little proven depth. With last spring marking the first time that coaches have been able to work a lot with the younger linemen, they’re more concerned with their level of retention in the fall and how hard they’ve worked to improve their deficiencies. 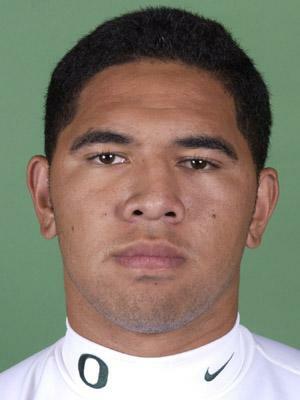 Possesses great size yet needs to improve his strength and conditioning before he can become a factor in the Pac-10. Has indicated a willingness to put in the necessary time to get better. The two-time honorable mention all-conference standout has set the bar for himself higher every year and now those around him come to expect it. Known for his ability to pressure the quarterback, has worked to improve his ability to hold his own at the line of scrimmage. Yet complicating his desire has been a recurring back and hamstring injuries that again sidelined him for the majority of the spring. Always has found a way to bounce back when they’re playing for keeps in the fall as he has prided himself in not missing a workout during the season. Begins final year fourth on the school’s career quarterback sacks list (19.5) and 10 shy of the school record. Also seventh on all-time tackles-for-loss chart (32) and trailing leader by 12 stops. Equalling team high with 24 consecutive starts, has posted tackles for loss in 16 of 24 games covering the past two seasons. After assuming a starting role for only one year, has now been thrust into a position of leadership along the offensive line with the departure of four seniors. Although its a new role, its one he now embraces. As a result, more will be expected of him but he’s sure to be up for the challenge. Held down the starting position almost flawlessly, even when he was hampered with a broken thumb. Adds the flexibility of being able to play either center or guard. In addition to being one of the most experienced on the field, he resides as one of the strongest lineman. Cleared unit’s-best 525-lb. squat and a 420-lb. bench press during winter testing. As a result of the new role, will be counted on to minimize mistakes. Due to his hard work, has the potential to emerge as one of the league’s best before his collegiate career is through. Given that the rate of transition for some junior college athletes is uncertain, coaches were pleased with the limited time it took Ma Sun to feel comfortable after stepping foot on campus shortly before the start of spring drills. Considering his limited exposure to the offense, grasped the system quickly before exiting the spring sitting atop the depth chart at left guard. Uses his size to his advantage yet hopes are he can improve his speed and quickness during off-season workouts. Regardless, is expected to be an immediate asset in the fall. After spending his first two years kicking a football dropped from his hands, will now concentrate his efforts kicking through the uprights. Placekicking chores are actually ones he embraces as he was as good as the Ducks’ four-year starter by last season’s end. Struggled in the spring due in part to a groin injury but coaches look for continued improvement as he is able to concentrate on only one specialty and becomes acclimated to the role on a regular basis. Connected on field goals of 32 and 37 yards in the Spring Game. 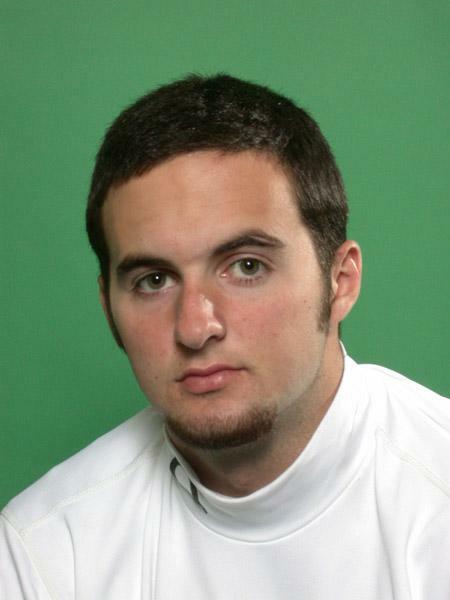 Served as team’s starting punter as a true freshman before relinquishing that role a year ago. Has improved tremendously in two springs of work as the walk-on emerged as program’s fastest running back (4.71 electronic). Is a testament to hard work paying off as he made most of opportunity last spring when injuries thinned the corps of runners. Needs to improve finer points of his game to become consistent factor in the rotation, yet overcame spring illness to catch coaches eyes. Has displayed knack for breaking tackles as well as demonstrates ability to catch the football. Still needs to gain more consisteny but move to rover appears to be more conducive to his skills. Possesses solid man-to-man ability but needs to play with more confidence. Learning curve has accelerated in his favor as he has improved with each practice. Should be a fixture on all phases of the kicking game. Early fall workouts will help define role in the immediate future. Was clocked as the third-fastest defensive back during winter workouts (4.71). Displayed impressive toughness and appropriate demeanor for the post in his spring indoctrination into the system. Performed with a cast protecting a broken thumb, yet refused to use it as an excuse for any missed assignments. Creates an excitement due to being an intense student of the game, which has allowed him to be further advanced than the majority of junior college imports. 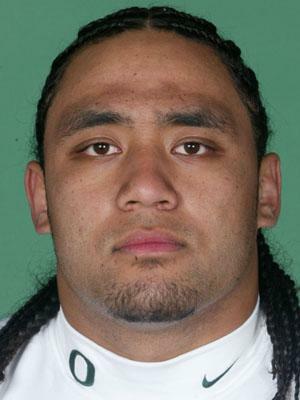 Credited with four tackles and one forced fumble in the �05 spring finale. Maintains flexibility to play all three backer positions. Oregon’s most dominant interior lineman in recent memory, coaches excited to have him back full strength at the beginning of the year. Makes other players around him better as he ties up more than one blocker on every down which frees up someone else to make a play. As one of the most experienced defenders, has assumed a leadership role that pays dividends in the lockerroom as well as the field. Has learned not to always rely on sheer strength, which makes it that more effective when he does. Also acquired a knack for blocking kicks, altering the course of five kicks in two seasons. 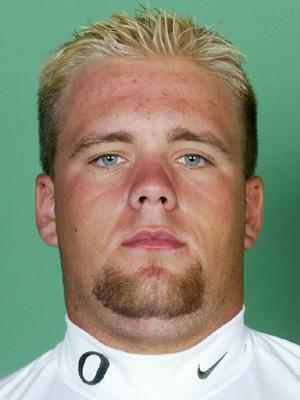 The Ducks’ strongest player, ranks second all time (behind Igor Olshansky) with a 495-lb. bench press. 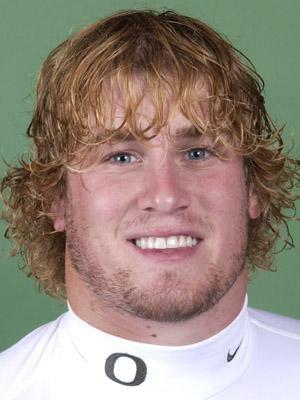 Also unchallenged on the squad with a 385-lb. clean press and 550-lb. squat. Recorded 109 tackles his sophomore season for a program that posted its first winning ledger (5-4) in five seasons, just missing its first state playoffs berth in 18 years. Also credited with nine passes broken up, six quarterback sacks and one interception for the Bulldogs. 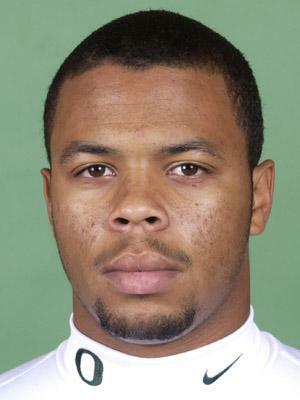 The all-state, all-South and pre-season All-America selection served as team captain in 2004 before finishing the year as the school’s defensive MVP. After years of switching positions, coaches hope he can concentrate on making a home at cornerback despite the fact he could start at almost any position in the secondary. The two-year starter possesses extremely good cover skills and has developed his body to the point that bigger receivers are no longer able to outmuscle him. Boasts of the top bench press max among Oregon defensive backs (355 lbs.) and the fourth-best in school history during the winter (best in five years). Should emerge as one of the best at his craft in the league and looking forward to encountering a great year. Maintains a quiet confidence about him that is infectious on those around him. The 18-game starter doubles as one of the best kick returners in the league capable of breaking a game open. Although he made his way onto the field enough as a special teams standout to warrant a letter, is still fighting through the inconsistencies not uncommon with his inexperience. Would turn coaches’ heads one minute during off-season workouts before regressing at times in routine situations. Possesses a strong sense of the game as well as the mental and physical tools needed to be successful yet continues to work on his grasp of the defense. Once he’s able to trust his instincts, is expected to have a tremendous future. Led all tacklers with nine stops in the �05 Spring Game. Is expected to provide depth on the perimeter until he’s able to gain more strength to handle the pounding inside. Coaches impressed with mobility and work ethic, and should be a factor in Ducks’ plans once he acquires more experience under his belt. Originally walking on in time for 2004 spring drills, has displayed determination prompting coaches to try finding ways to get him on the field more often. Suddenly emerged last fall as a stalwart on special teams due to speed and savy before level of play improved to the point in the spring to force a look at the line of scrimmage. Completed the spring on the perimeter where he can utilize his speed but has also been given a look at middle linebacker. Biggest asset is his strength, eclipsing school record among players at his position in power clean (363 lbs.) while testing third all time in bench press (415 lbs.). Looking to make the most of his opportunity to fit his talents into a system that may be more conducive to his abilities. Proved to be one of the major cogs behind the success of a team that not only claimed the state’s CIF Southern Section Divison II championship but finished 2004 ranked third in the country by USA Today. Characterized as a smart player who knows how to read an offense, as well as a relentless persuer who is able to combine great lower body strength with speed and a quick first step. Credited with 65 tackles, 10 quarterback sacks (third in the league) and two fumble recoveries a year ago to earn all-Orange County Region by the L.A. Times and defensive player-of-the-year accolades by the Orange County Register. Enjoyed seven tackles, three QB takedowns and one fumble recovery in a 14-7 win over Mater Dei. Also honored as first-team all-CIF Southern Section, CIF Southern Section Division II co-defensive player of the year, South Coast League defensive MVP and received votes on the Long Beach Press-Telegram Best in the West balloting. Spearheaded Diablos’ defense which allowed only 44 points in the first half en route to posting an unblemished 14-0 record and a 49-21 win over Valencia for the Division II title. Looms as lone senior along the offensive line and coaches looking for him to embrace that responsibility in his final year. The 14-game starter encountered a frustrating latter half of the spring when a recurring back ailment rendered him to the sidelines and hampered his development. Utilizes good strength and intelligence but hopes are he can become more physical in his final season. Different offensive scheme requires him to adjust some of his techniques and become more fundementally sound. 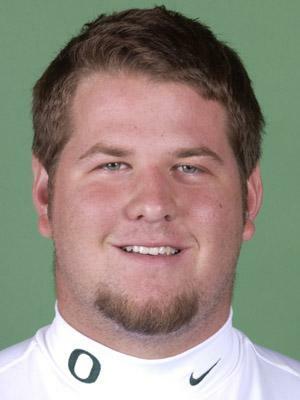 Exhibits great work ethic and flexibility to play either guard or center, yet will have to work to regain starting nod. Possesses the level of athleticism that would allow him to be successful at any number of positions, both offensively and defensively. Altering of Oregon offense necessitated change from fullback slot to one that is capable of utilizing his skills to a greater extent. Runs very well and possesses great hands, as demonstrated by his eight career TD catches in last two years. Developed a knack for finding the open seam in opposing defenses and abilities should allow him to be a tremendous threat over the deep middle. Yet needs to improve his consistency over the spring and become more physical in order to fully utilize the skills he’s blessed with and become the impact player he is capable. Maintains the savy that allows him to be a threat on special teams as well as the line of scrimmage. Coaches have been waiting for Sanders’ potential to become more immediate and feel that may have reached fruitition in the spring. 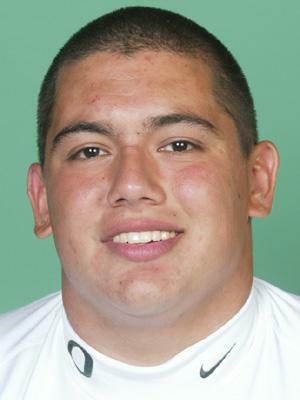 One of the Ducks’ most athletic linemen demonstrated signs of improvement as he began to improve his work ethic. Gained consistency to go along with his natural talent and could provide major spark to the front four if his development continues in the direction it is headed. 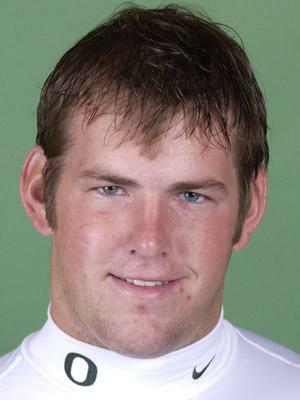 Began his collegiate career at tight end before being converted to the defensive line during the spring of 2003. Possesses great speed coming off the edge and now just needs more refinement to his technique as he continues to learn the position. Tested third among counterparts with a 475-lb. squat and 395-lb. bench press. Sometimes players need to be nudged before they realize how good they can be. Coaches feel he has the potential to be a dominant Pac-10 player at a young age if he desires to do so. Possesses all the physical tools in addition to his intelligence. If he chooses to step out of his comfort zone and push himself to a higher limit, there could be few defenders who could handle him. Gained enough experience as a true freshman to get a taste of what could be and now needs to add a little aggression to his natural talent. Possesses all the tools necessary to be successful � is very quick, very athletic and very bright. The ingredients are present, all he lacks is experience and strength. Grasps concepts quickly and has demonstrated he’s not afraid to work hard in order to improve. 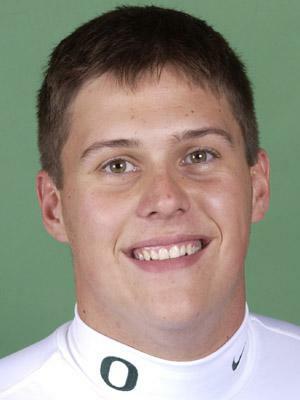 Heads into the fall atop the depth chart as Oregon’s long snapper as he seeks to replace a four-year starter. Few prospects in the Northwest have attracted the attention to the magnitude of Washington’s all-time rushing leader but fewer have ever packaged the speed and power together that led ESPN.com to consider him the No. 2 prep recruit in the country. The Seattle Times went so far as to rank him as the state’s fifth-greatest running back of all time. (Ironically, former Oregon great Bobby Moore -- i.e. Ahmad Rashad -- was ranked No. 4 in Washington history.) Accumulated 7,755 yards rushing and 95 touchdowns in a career that witnessed him eclipsing the 1,000-yard barrier in each of his four high school seasons. Rushed for 2,301 yards and 32 scores his final year -- averaging 11.3 yards per carry -- in addition to returning one of three punts 91 yards into the end zone. 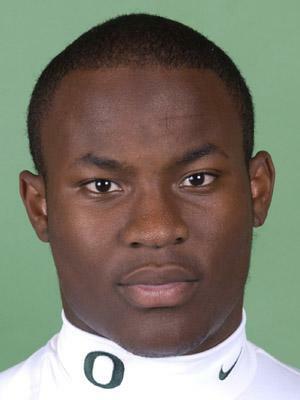 Was placed atop the nation’s list of running back recruits on Parade magazine’s All-America team, Student Sports Hot 100 list as well as PrepStar’s Top 100 Dream Team, and he was one of five finalists for the Walter Payton Trophy, awarded to the nation’s top high school football player. 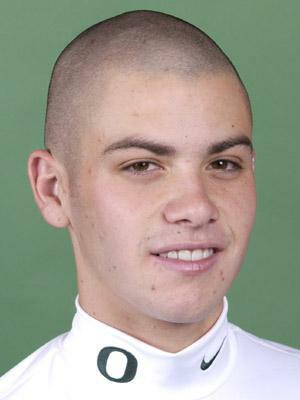 The Washington Class 3A offensive co-player of the year (WashingtonPrep.com) and state Gatorade Player-of-the-Year recipient also was named to the 2004 All-USA high school football team by USA Today, the Long Beach Press-Telegram’s Best in the West first team, the 2005 Northwest Nuggets by The Tacoma News Tribune and as an EA Sports All-American. 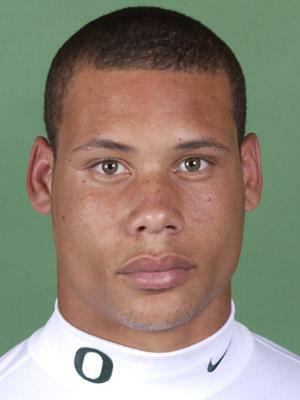 Chosen to play in the 2005 U.S. Army All-American Bowl, was named The News Tribune’s 2004-05 High School Male Athlete of the Year. Accumulated single-game bests of 422 yards rushing (vs. Centralia) and nine touchdowns. Was one of four running backs in the nation to earn "five-star" acclaim by Rivals.com and was ranked as this year’s 28th-best high school prospect in the country by SuperPrep. Rushed for 2,609 yards and 36 TDs as a junior to garner first-team all-state accolades by the Seattle Times and Tacoma News Tribune, as well as state 3A player-of-the-year praise by the former news organization. Included was an eight-touchdown effort in a win over River Ridge in 2003. Gained 1,575 yards on the ground in 2002 before breaking his left ankle but hasn’t missed a game since. Placed second in last spring’s state track 100-meter championships (11.17) in addition to anchoring school’s 4x100-meter relay to a state title, utilizing physical talents of a 40 1/2-inch vertical leap as well as a 3.3 high school gpa. Entered last fall in strong contention for one of the starting wide receiver slots before injuries thwarted the progress he had accomplished in the spring. Health issues again became an overriding factor last spring before he overcame them the final week and started to assert his potential. Utilizes his size to his advantage while maintaining ability to run crisp routes. Possesses excellent hands and not afraid to extend for the football. Could benefit from additional strength yet makes the most of the tools he was given. Caught one pass for a 65-yard touchdown in the 2005 Spring Game. Manned the offensive line which helped the Knights secure their third-consecutive CIF Southern Section Division III championship with a 14-0 record, yet contribution at the next level may be greater as a deep snapping specialist. Ranked among the top three snappers at last month’s kicking and snapping competition coordinated by Chris Sailer in Las Vegas that graded speed and accuracy at getting the football to its intended target, accompanied by the commentary "the smoothest of them all." Prep team averaged 141.9 yards rushing per game as the Mission League champions. The walk-on has turned some heads in the spring to the point he could have a chance to see some playing time during the coming fall should he continue to progress. Possesses a good understanding of the offensive scheme and utilizes good technique but must continue his hard work in the weight room to become stronger. Maintains a sense of balance as a pass blocker but needs to improve the physical part of his game. Considered one of the state’s fastest players, helped lead Bulldogs to CIF Southern Section Division VII championship and a 11-2-1 record with the deciding 19-8 victory over South Hills. Recorded 29 receptions for 730 yards and seven touchdowns his senior season in addition to rushing for over 400 yards and two more scores. Added 85 tackles and five interceptions to earn all-San Gabriel Valley Region honors on offense and region back-of-the-year acclaim by the L.A. Times. 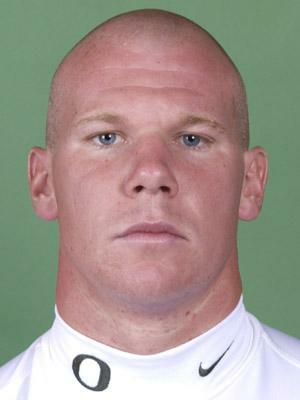 Also recieved all-CIF Southern Section second team plaudits as a wide receiver in 2004 after attracting first-team all-San Antonio League, all-CIF and all-Valley attention following his 2003 campaign. Junior year highlighted by 40 catches for 757 yards and eight touchdowns, as well as 69 tackles (48 unassisted) and four interceptions. A valuable commodity who can play either inside or outside along the defensive line.Team’s most experienced among its non-starters and appears ready to make a name for himself. Possesses the defensive line’s best combination of speed and strength (along with Devan Long), ranking among the two fastest players over 10 and 20 yards as well as second among counterparts with 400-lb. bench press, as well as boasts 460-lb. squat (4th) and 330-lb. power clean (3rd). 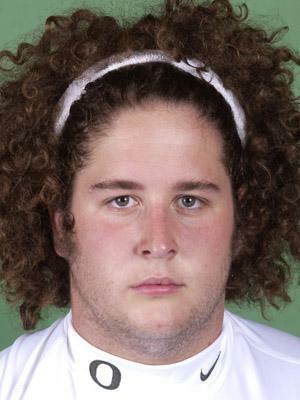 Originally recruited to Oregon as a fullback, displaying tremendous athletic ability. Demonstrates a strong work ethic and great quickness. Honored as American Samoa Athletic Sports League’s three-time defensive player of the year in both football and basketball, leading latter team to the Island championship while posting four points and 18 rebounds in the final contest. Completed his last football campaign with 65 tackles, 15 hurries, nine quarterback sacks and four fumble recoveries in addition to doubling as a starter along the offensive line. Competed in last month’s American Samoa-Hawaii all-star game, contributing two quarterback sacks among his 10 stops. Program finished 2004 with a 5-4 record and a first-round loss in the playoffs, failing to advance to the championships for the first time in nine years. Older brother, Matt, returns as a junior for the Ducks in 2005 after starting two games a year ago. Few players could hold the key to team’s defensive success to the extent as defense’s second-leading returning tackler who returns as squad’s most experienced linebacker. Table set for him to end collegiate career in sterling fashion as he possesses all the tools to thrive in a system that is geared toward relying on his natural abilities and instinct. Although talents may best suit him roam the perimeter, provides the flexibility to feel at home at any one of three linebacker positions. Runs well, as proven by last spring’s 4.75 electronic clocking, and excels at change of direction, as indicated by 3.81 20-yard shuttle time which ranked second on the team. 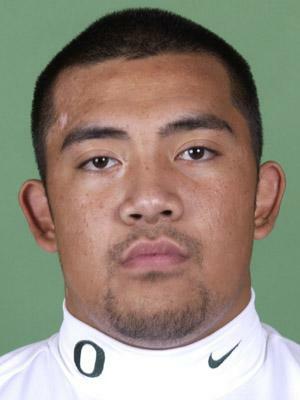 Also tested as Ducks’ third-strongest linebacker, highlighted by 450-lb. squat. Maintains demeanor as one of Oregon’s top special teams standouts despite status as veteran standout. One of off-season’s biggest personal strides was accomplished by stepping up off-field leadership role. 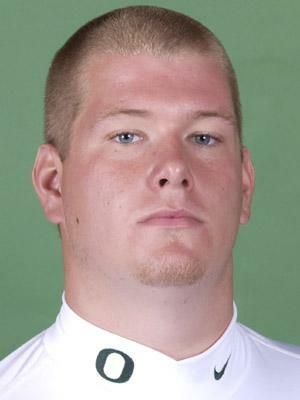 The two-time first-team all-Gwinnett County selection (Gwinnett Daily Post, Gwinnett TD Club) ranked among state’s top 10 offensive linemen in 2004 and utilized strength (school-record 430-lb. bench press) to dominate opponents. 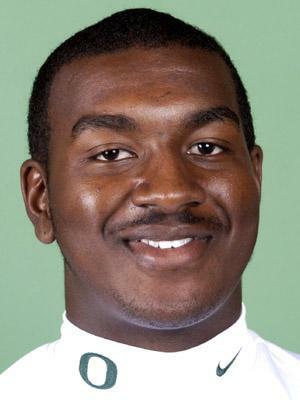 The two-year starter received first-team AAAAA all-state accolades by the Georgia High School Football Magazine and was a 2004 all-state honorable mention pick by the Atlanta Journal. 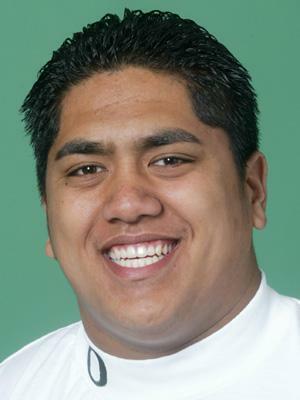 Named as one of the Fab 50’s top defensive linemen, the 2004 team captain was selected as the 50th best player in the state as well as the 45th-best defensive lineman and 67th-best offensive lineman in the country by Scout.com. 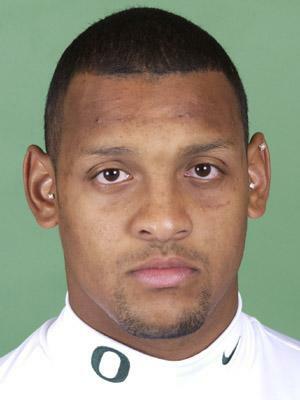 Posted eight tackles for loss and three quarterback sacks among his 40 tackles his senior year after tallying 46 tackles, six tackles for loss and 3.5 quarterback sacks in 2003. The avid weight lifter secured Area7 heavyweight division championship in 2004. 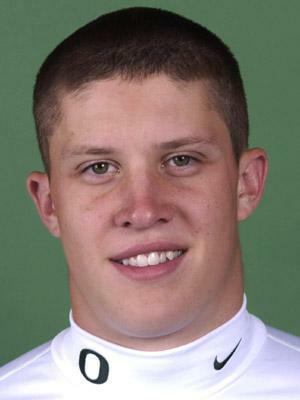 The PrepStar all-region selection also applauded for his presence in the locker room as a motivational leader for the Broncos, who accumulated a 31-6 record over the course of his final three years and were ranked as high as third in the state his final season after climbing to 10th in the nation (USA Today) in 2002. Continues to battle as one of the line’s hardest workers and has developed an attitude that refuses to back down. An ankle sprain in the spring slowed his development but takes great pride in his performance and maintains a sense that refuses to allow him to fall behind. Has displayed an air of toughness that prompts him to be an effective component in the running game, yet needs to become a better pass protector. Following an introductory season focusing on special teams and as a reserve from the line of scrimmage, appears primed to break into the regular rotation. Evolved into the spring’s most productive linebacker while spending time at both strong safety and will linebacker, and provides the Ducks with flexibility to put their best players on the field. Relies on great instincts to shed blockers from all directions and run to the ball, yet still needs to improve speed and strength in order to coax a maximum from his abilities. Improved bench press 20 pounds during off-season workouts to 325. 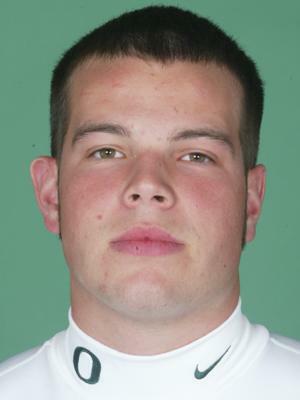 Accumulated four of his five 2005 Spring Game tackles unassisted in addition to recording one quarterback sack. Development has been encouraging each of the last two springs, now needs to continue progress in the fall in order to solidify role as potential starter. Spring presence on campus aided his transition to the next level, yet a nagging hamstring injury prevented him from taking part in many workouts and delayed a true evaluation of ability. Possesses the physique as a strong, physical inside linebacker with the ability to shed blockers and get to the ball carrier. His ability to get off to a fast start in the fall and gain a better grasp of the defense will be key to his chances of making an impact early in his Oregon career. Entered fall camp with a determination and work ethic that he refused to be denied and he wasn’t. Has made great strides for his level of inexperience but possesses the demeanor that absorbs every bit of knowledge with each practice. Combines athleticism with intelligence and a sense of toughness that is impressive. 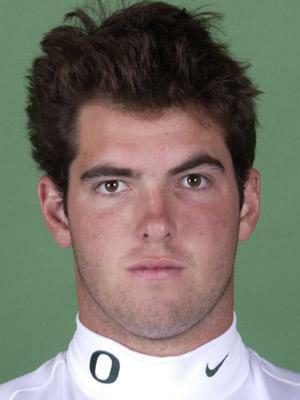 Boasts of the abilities that would lead him to be able to play any position along the offensive line. Heads into fall camp with a hold on the starting left tackle slot and the potential to be a standout in the league for years to come. Initiated a switch from tailback to linebacker during the off-season to facilitate getting him on the field more often. Although his physical skills were never questioned, raised coaches’ eyebrows in terms of how quickly he made the transition to the other side of the football. Clocked in the off-season as team’s fifth-fastest player as well as swiftest linebacker (4.64 40-yard), in addition to posting 485-lb. squat. Is an extremely intelligent football player which eased his transition from offense to defense, and able to take advantage of his background on the other side of the ball to anticipate the offense’s next move. Complemented great vision and understanding of the game along with athletic talent to quickly thrust himself into the mix for extensive playing time. His competitive nature was never a question as one of Oregon’s top special teams tacklers. His off-season development and work ethic will likely determine his role in the fall as his experience as a defender remains his only shortcoming, yet has created an excitement in regards to his potential. Finished the Spring Game with three tackles. Missed valuable practice time each of his first two springs due to injuries that has slowed development, yet his understanding of the game and competitive nature has allowed him to make up for lost time. No player will benefit more from the different style of play the revised offense stresses as he relies on his speed and quickness to get open. 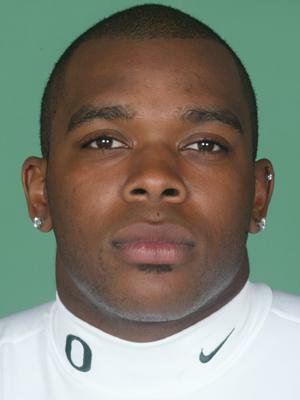 Led all receivers with 10 catches for 129 yards and a 16-yard score in the 2005 spring finale. Became acclimated to system faster than anticipated during his freshman season, taking advantage of opportunities that came his way. Resulted in becoming the only one of three wide receiver candidates to see playing time as true freshmen. Ranked as the state’s sixth-best prep prospect and the top offensive lineman by SuperPrep after excelling for a program which specialized in running the football. Cited as a Northwest Nuggets honorable mention by the Tacoma News Tribune as well as GSHL all-league honorable mention lineman on defense by WashingtonPreps.com. 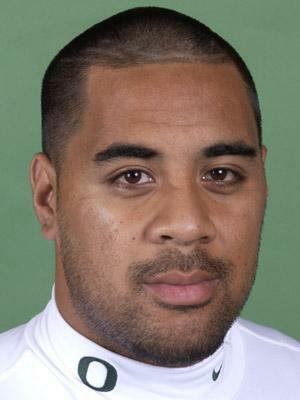 Injuries hampered his development and limited his playing time as a junior after he was voted league lineman of the year in 2002. Few 1,000-yard rushers have accomplished so much with such little fanfare as the two-year starter who could garner no more than �04 honorable mention all-conference acclaim despite ranking second in the Pac-10 in rushing (20th nationally) and fourth in average yards per carry. Originally recruited to play defense, his career totals place him eighth on Oregon’s all-time rushing chart (1,143 yards shy of school record) and 10th in all-purpose yardage (3,166). One of program’s best all-around backs over the past three decades. Compensates for a lack of great speed with an uncanny awareness of the field and great vision to complement an unmatched toughness and durability. Also possesses a competitive demeanor that drives him to succeed, and prides himself as a great receiver and blocker that is paramount in Oregon’s offense. Has made the greatest improvement in his quickness as well as his ability to break tackles to gain the extra yard. Has excelled as a player capable of picking up three to four yards per carry while thrown for a loss only 38 of the 255 times he has run with the football. The 23-game starter (13 consecutively) has been at his best against Stanford, accumulating 435 yards rushing vs. the Cardinal for three of his eight 100-yard efforts. Begins final year 13th on list of active NCAA Division I rushers (2nd in Pac-10) and only 251 receiving yards shy of becoming third player in school history to amass 1,000 career yards rushing and receiving (joining Bobby Moore and Sean Burwell). Also has accumulated career averages of 23.4 yards on nine kickoff returns (211 yards) and 6.6 yards returning eight punts (53 yards). No one became more frustrated with the circumstances surrounding his junior season than Oregon’s No. 1 receiver as toe and hamstring injuries relegated him to less than full strength the entire year. As a result, no one is more determined to make amends in the coming year. When healthy, he’s as good as any receiver in the league, as epitomized by his sophomore season. Enters his final season 14 catches and 11 yards shy of breaking into Oregon’s career Top-10, respectively, while only two players have accumulated more 100-yard receiving games than Williams’ seven. Possesses all the traits as the prototype "go-to guy" � is a great athlete who is competitive and not afraid to leap high into the air for the football. Maintains deceptive speed and is a dangerous receiver and excellent at running precise routes. Runs well with the ball after the catch as proven by 18.3-yard average in 2003 that ranked among the top five in school history. Seldom has Oregon benefitted from a receiver with the combination of size and speed as the "sky’s the limit" for this redshirt freshman. Has developed a tremendous work ethic and is the type of player who is hard to bring down. Possesses the ability to go up and grab the ball over a smaller defensive back. Needs to improve his hands as well as refine his routes. Lack of experience leads to making the spectacular catch � as witnessed by his 43-yard grab in the Spring Game � yet sometimes struggles with the easier ones. Concluded the spring finale with five grabs for 79 yards. Timed as program’s fourth-fastest receiver during off-season (4.71) while testing second in squat (420 lbs.) and and bench press (295 lbs.) in addition to equalling best power clean lift (319 lbs.). With continued hard work and improvement, could develop into a special breed of receiver. Has encountered misfortune of injuries just when it appears he may be ready to step up. 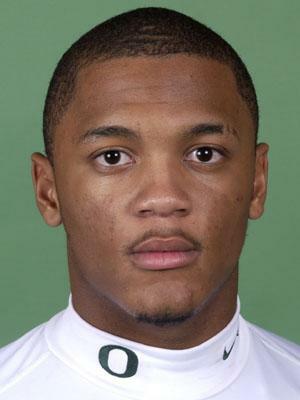 Was given a good chance to see significant playing time at cornerback prior to last season when a knee injury early in fall camp sidelined him for the remainder of the year as well as the 2005 spring. Possesses proven ability yet seldom able to find a groove where he has felt comfortable. Physical skills more conducive to safety but a greater need existed on the perimeter in the past. Now that he may be able to move inside, only has one remaining year to re-learn the position. 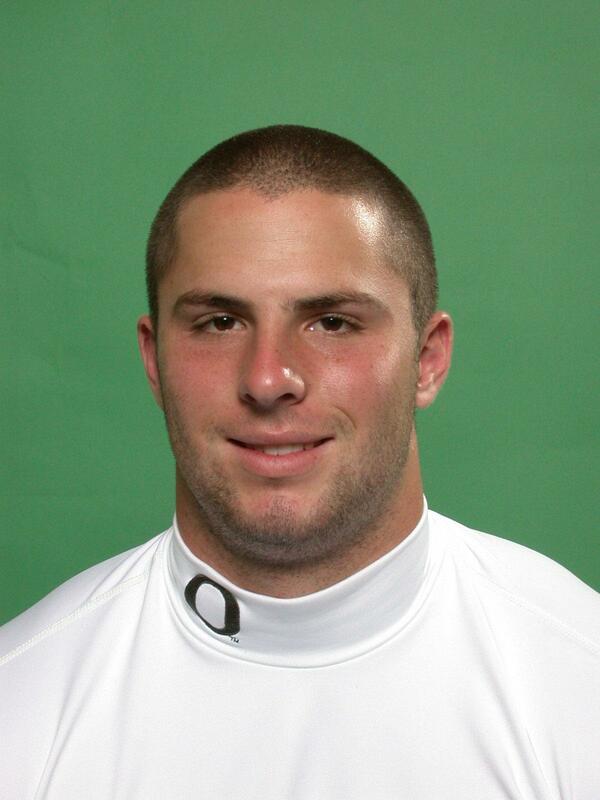 Two-time track and field collegiate national champion Tommy Skipper has joined the Ducks' football team as a punter. 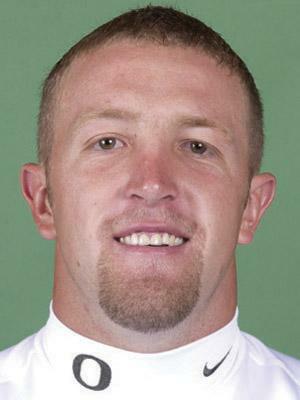 Skipper, who captured NCAA pole vault titles in 2004 (outdoors) and 2005 (indoors), hasn't played football since he graduated from high school at Sandy High School in 2003. The Ducks' pole vault school record-holder (18-10 1/4) also established the Pacific-10 Conference record as a freshman in 2004. 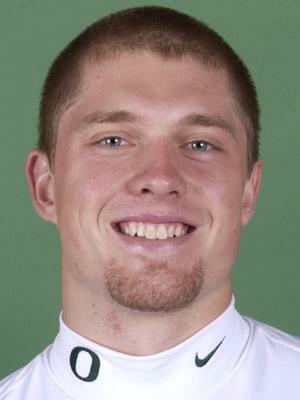 He also claimed Pac-10 pole vault and decathlon titles his freshman season. He missed the majority of last spring's outdoor season with a knee injury and was unable to clear a height at either the conference or NCAA championships. 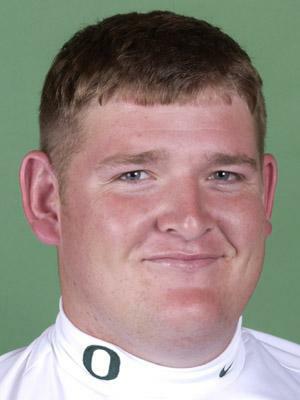 Although it is Skipper's first attempt at football at the collegiate level, his all-around athletic ability drew notice by the San Diego Padres as they drafted him in the 37th round of the 2003 amatuer baseball draft despite the fact he had never played baseball.